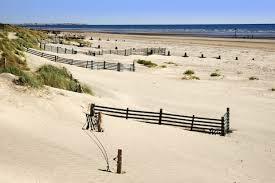 We have beautiful West Wittering holiday homes and short term holiday lets. 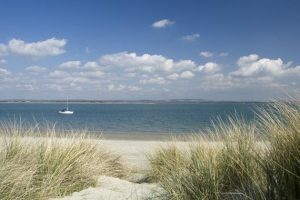 Perfect for short breaks, family holidays or corporate lets in charming West Wittering, West Sussex. West Wittering, known for its natural, unspoiled, sandy beach, is a village on the Manhood Peninsula, and bestows lovely views of Chichester Harbour and the South Downs. Watersports are popular in the Blue Flag sea, whilst the shallow lagoons, sandy flats, dunes and salt marshes are home to an array of wildlife and beauty that is internationally recognised. West Wittering beach is set in an Area of Outstanding Natural Beauty. A beautiful run of sand and dunes, overlooking Chichester Harbour and the Solent. The area is internationally recognised for its remote natural beauty and wildlife. East Head, a sand dune spit, is a Site of Special Scientific Interest (SSSI) and wetland site of international importance. There are lovely walks around the sand dunes of one of West Sussex’s last surviving pieces of natural coastline, with far reaching views across to the Isle Of Wight. 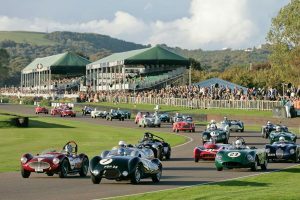 Goodwood hosts an array of events and experiences; it makes for a memorable day out with lots to see and do. The track is the only classic circuit in the world to remain entirely in its original form, so take to the track for an exhilarating drive! 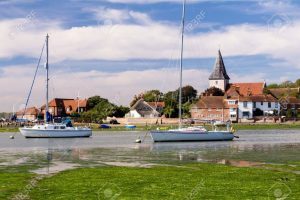 Bosham is a pretty waterfront village in a beautiful setting surrounded by wild birds and local wildlife; a favourite with sailors and artists. It makes for a lovely day out, walking around the village and harbour, but make sure you keep an eye out for the tide! 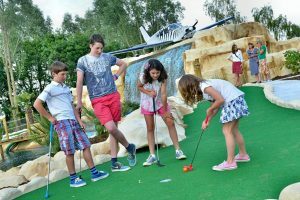 An 18-hole adventure awaits at Jungle Paradise! It’s not without risk as you putt your way through caves and under waterfalls, crossing desert islands and manoeuvre around lagoons infested with crocodiles. Good for fun for everyone. Child and dog friendly cosy café close to West Wittering beach. You can sit in or outside and decide for yourself whether it’s the crab sandwich, white hot chocolate or range of paninis that’s worth stopping off for. 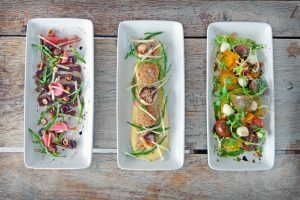 Samphire makes everything on site and buys high quality, locally sourced, sustainable ingredients for great dishes of simple, fresh, honest, delicious food. 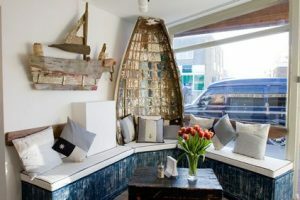 The atmosphere is a balance of beach hut and dining sophistication with helpful and attentive staff. 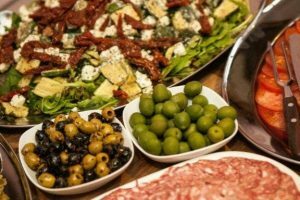 A varied tapas and wine menu with food of generous portions cooked to order. 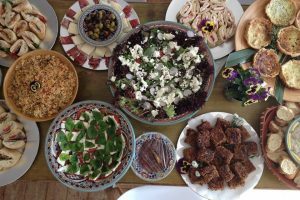 The staff are lovely and the chef obliging, with an atmosphere that is relaxed and hospitality friendly. Nothing is too much trouble to ensure that everyone is having a good time and enjoying their tapas! Drift-In Surf Café is a great meeting place to catch up with friends or to take some time out for yourself. 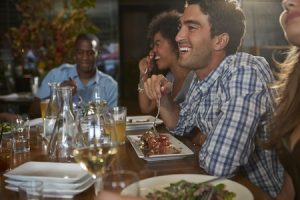 A cool vibe that encourages you to take a break and sample the varied menu that aims to break away from the standard fair. Thyme & Chillies restaurant provides an authentic and interesting Indian culinary experience with both a Tandoor and Curry Chef who have over 20 years restaurant experience in India, Dubai and the UK. Service, food and presentation are all top notch. 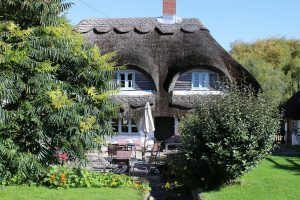 Bracklesham Bay Tea Rooms and Garden is nestled inside a beautiful thatch cottage close to the beach. The traditional Afternoon Tea is a must and they also serve breakfasts. The tea room is a pleasant place to cosy up or go you can go outside and enjoy the English country garden. 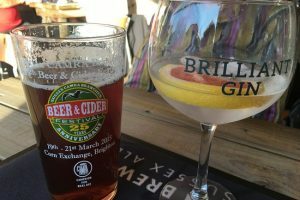 The Lamb Inn is supported by talented brewers from the West Country with their bar staff who are able to guide you through the choices on offer. 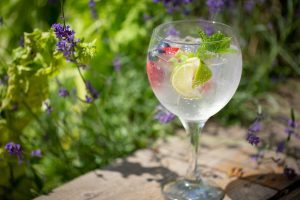 There’s a great selection of wines and cocktails; perfect for sitting in their garden and enjoying the Sussex sun. 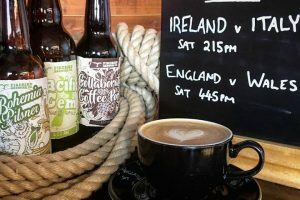 The Crab Pot is a micro pub that is passionate about its ever changing locally sourced cask ales and a good choice of ciders, wines and spirits. The place has a great buzz and staff are friendly and welcoming, helping you to discover your favourite beer. Dog friendly licensed coffee shop with a warm and friendly welcome. Serving freshly ground coffee and homemade cakes with a great spot on the footpath between Itchenor and West Wittering. 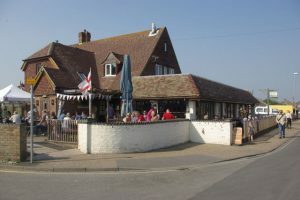 Seaside pub in neighbouring East Wittering. This local establishment is friendly with staff keeping a good selection of ales and wines. Good for a quick drink and dog walkers. It’s on the edge of the beach so gets busy in high season; adding to that holiday vibe! To reach West Wittering holiday homes from central London it’s a journey time of around 2 hr 30 mins. It can take roughly 1 hr 30 minutes minutes to get to West Wittering from the M25. Southampton is an hour, with Brighton at an 1hr 30 mins. To reach West Wittering holiday homes, National Express can get your from London Victoria Coach Station to West Wittering via a transfer at Gatwick Airport. It takes just over four hours. By Train: West Wittering holiday homes can be reached in 2 hours from London Victoria. It’s a 1 hr 30 minutes from Brighton. Nearest Airports: A 50-minute car ride gets you from Southampton Airport to West Wittering holiday homes, and Gatwick Airport will take an 1hr and 30 mins.